Stripe/Blue Pack of 2 Boyfriend T-Shirts is rated 4.7 out of 5 by 26. Update your wardrobe for the new season with this pack of two boyfriend T-shirts. 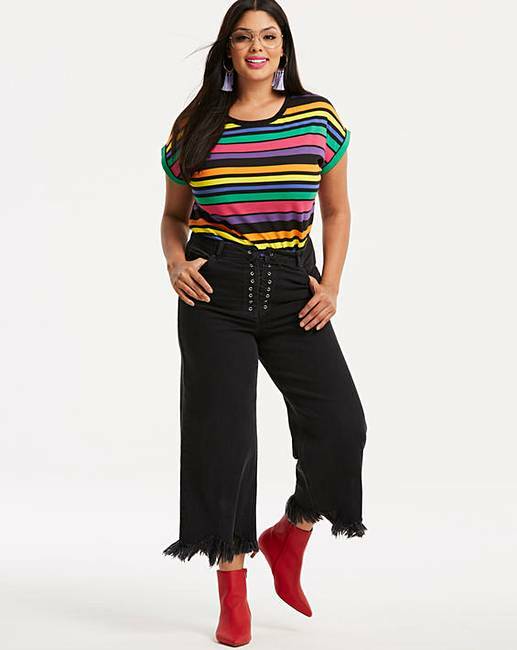 An everyday style steal, they come in a printed and plain style with turned-up cuffs and a flattering longline length. Wear with jeans and flats for a laid-back look. Rated 5 out of 5 by Shazza51 from Good quality. Great colours. Really happy with the 2 t shirts. 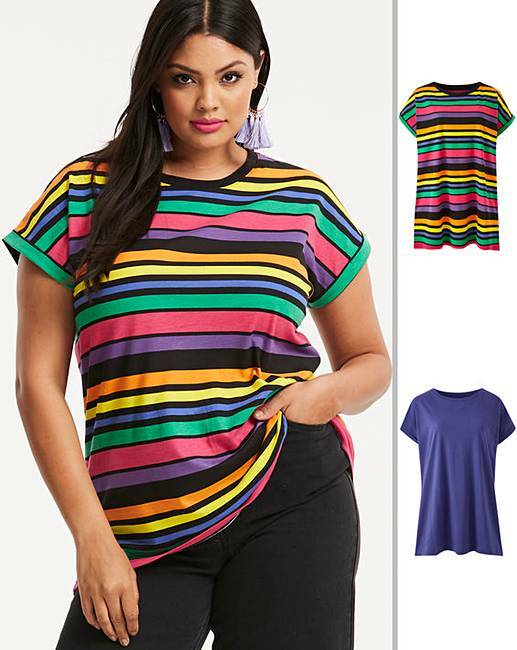 Good quality and lovely bright colours. Very quick delivery too. Excellent for the price. Rated 5 out of 5 by Jan from Good buy! 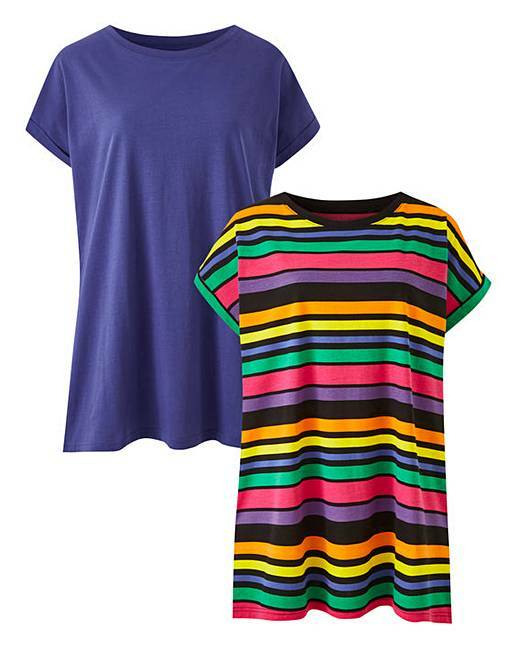 2 pack T-shirts - very good value, comfortable and great colours! Rated 4 out of 5 by Patsyboo from Comfy but stylish Can be dressed up or down. 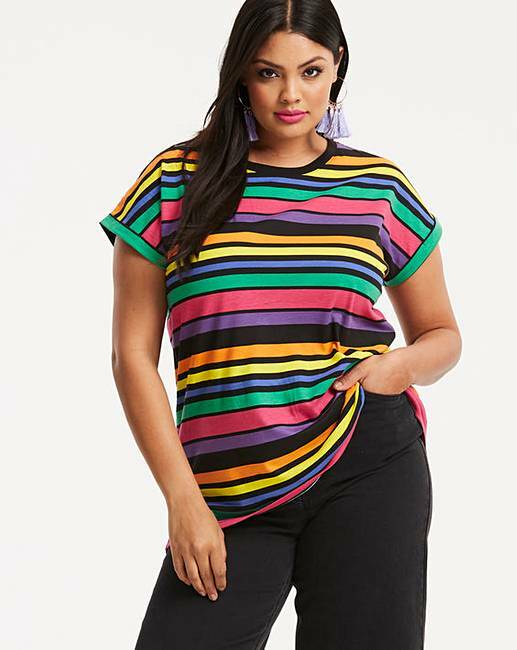 Stripy t shirt is better quality than the blue but good for the price. Rated 5 out of 5 by TKF from Great Value for money Nice tee shirts. Good colours. Great value for price.